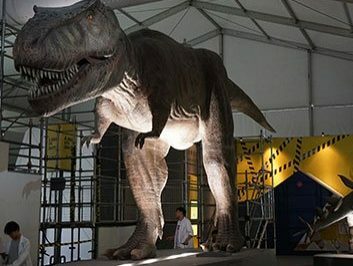 The exhibition is a major way for enterprise propaganda. A demand for the outdoor exhibition is increasing because the cost is very high for using the building as an exhibition. That is why outdoor exhibition marquee for sale become more and more famous which solve issues of limitation about space and usage time. 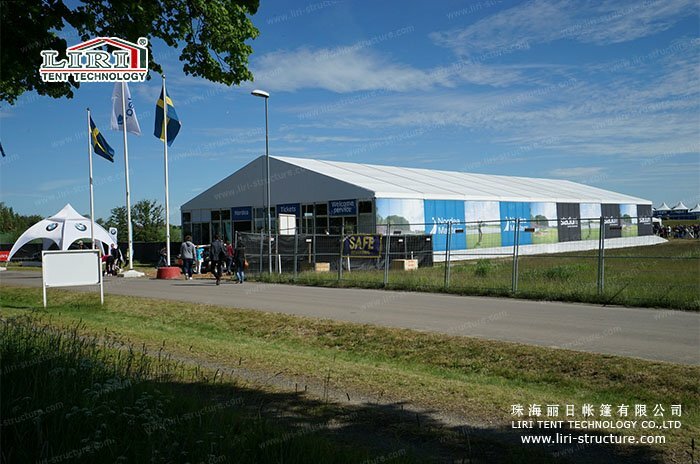 LIRI big exhibition marquees use high strength aluminum alloy frame with convenient structure technology. 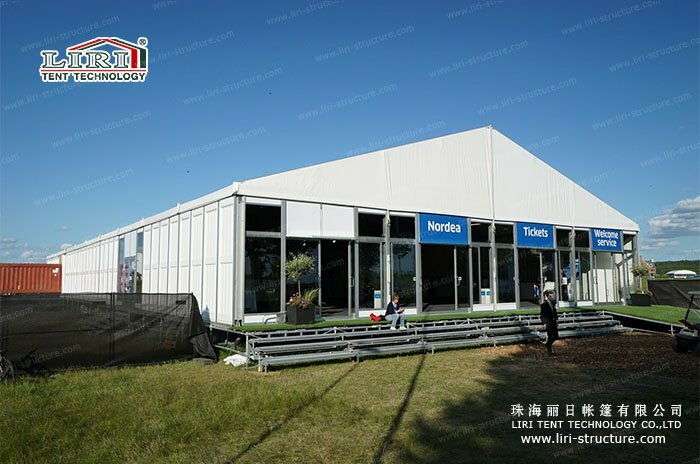 No only for an exhibition, but also makes the expo more beautiful. 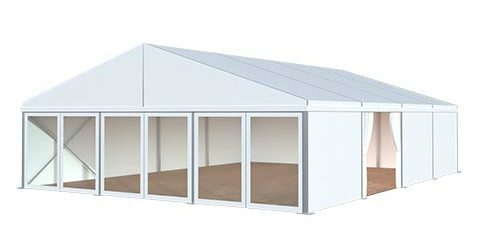 Our exhibition marquees adopt a modular design which can be adjusted with combined dimensions flexible due to your requirements. 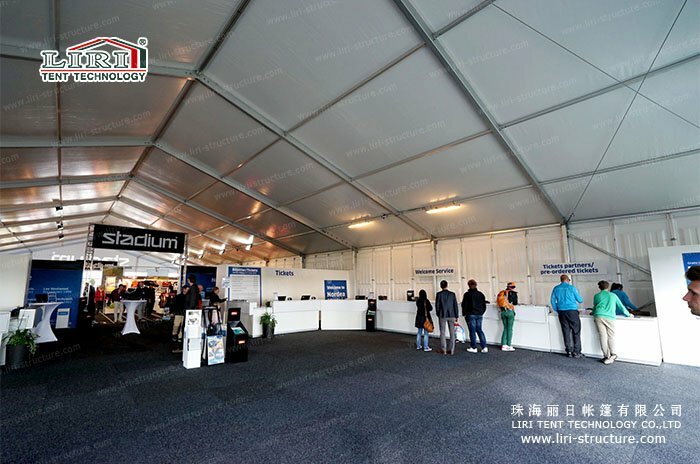 The reason why we use aluminum alloy is making the structure more stable and reduce the whole weight of exhibition marquees. 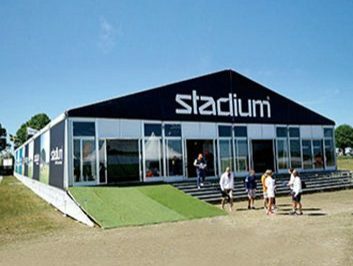 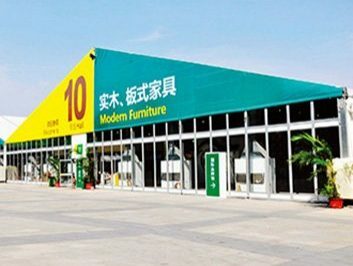 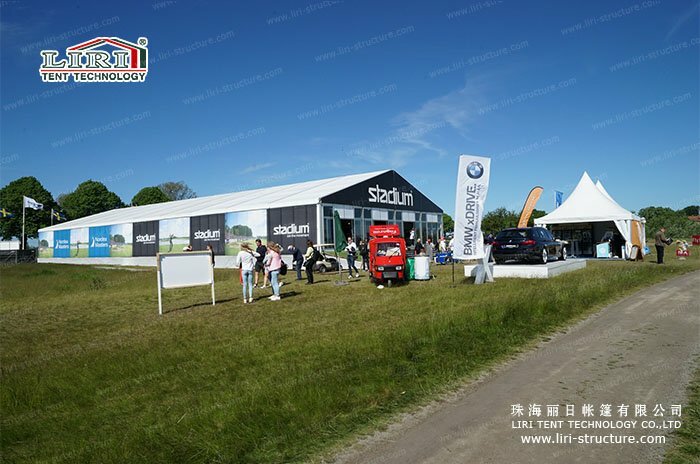 There are no struts inside which can custom-made suitable exhibition marquees on the basis of an actual site. 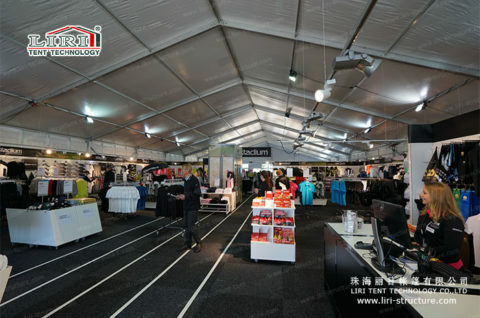 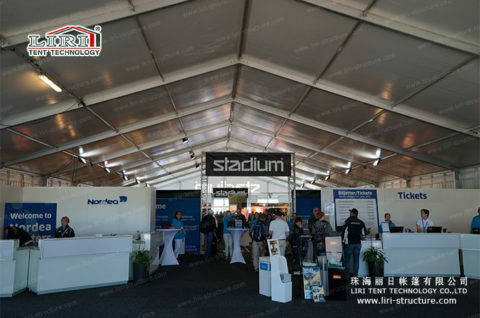 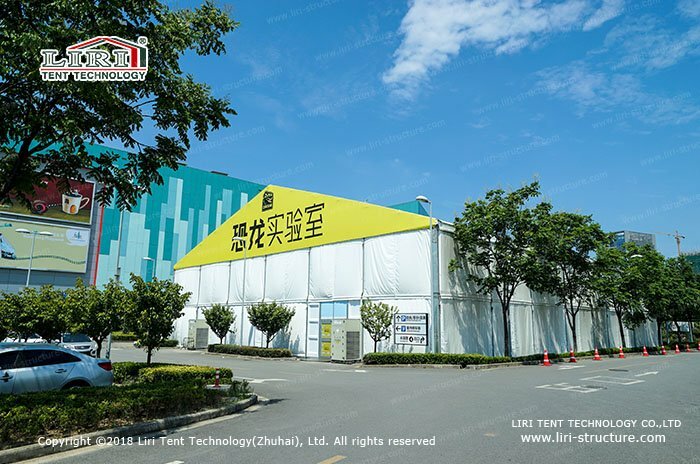 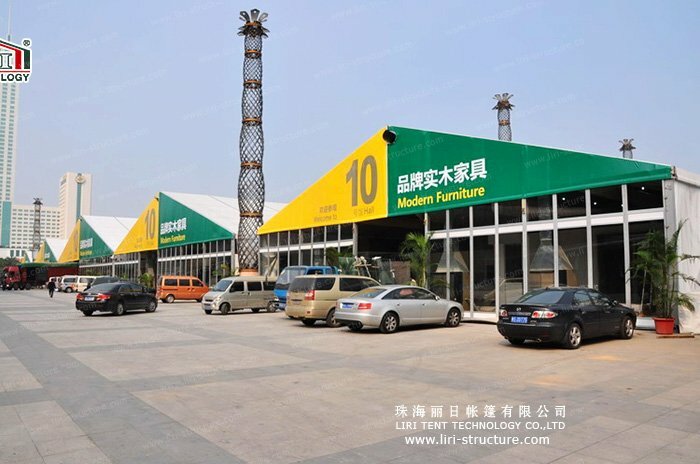 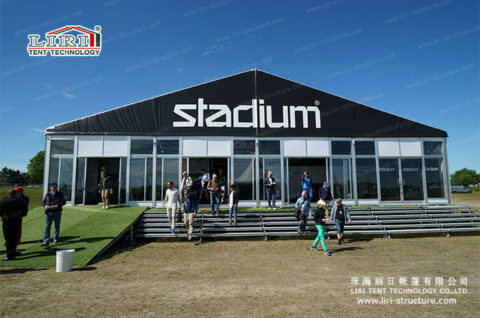 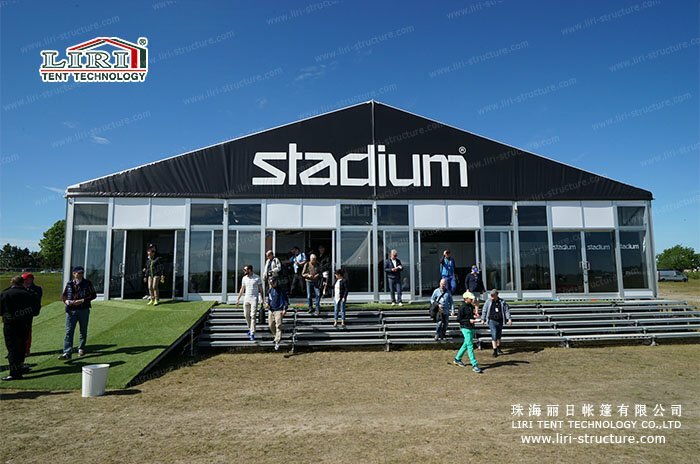 In addition, as a profession marquee for sale company which has more than 20 years experiences of marquees design and manufacture, LIRI outdoor exhibition marquees tent can be used on any ground, no matter earth, grass or cement, all can be set up safely. For the convenience of an exhibition, LIRI also offers flooring system, air condition, dossal etc common accessories for your choice.